As a child, it seemed as if you could pedal around the neighborhood for hours with no exhaustion, no pain and certainly no worries. You just loved being on your bike and didn't give much thought as to whether it fit or not. As long as you could pop wheelies, jump a homemade ramp or drive down to the corner store for some Big League Chew, you were good to go. Unfortunately, buying a new road or triathlon bike isn't all that trivial. Somehow, new bikes never seem to fit quite as comfortably as that first one ever did. Our bodies are now fully grown, less flexible and maybe a little more finicky than they used to be. 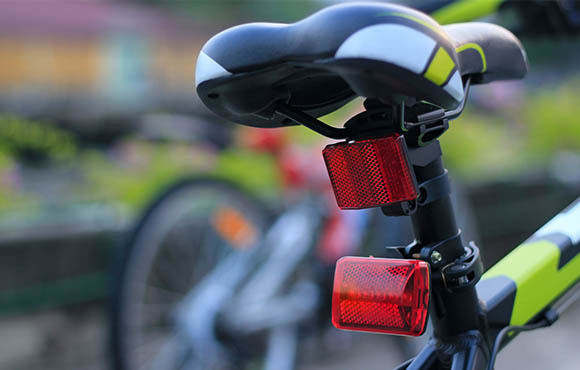 Just like bicycles themselves, our bodies come in all shapes and sizes and little nagging pains can rear their ugly heads even during the shortest of rides. There are, fortunately, very common areas of discomfort that can often be addressed and adjusted swiftly by a good bike fit. And remember: If you buy a new or used bike, take the extra time to schedule a personal comprehensive bike fit. It can make all the difference between logging hours of adventures on your new bike versus letting it collect dust in the garage. Check to see if the top tube is the right size for your body geometry. If you feel like you're really stretching to reach the handlebars, you may just have a bike that's too big for you. However, if the top tube length is fine and the bike size is correct, there are other adjustments you can make to address lower back pain. "A good place to start is the reach from saddle to handlebars," says David Barrientos, Fit Specialist and owner of both Tsunami Cycles and Buda Bike Company in central Texas. "Look at getting a different length stem—one that allows the rider to rest their hands comfortably on the bars with a natural bend in the elbows while sitting firmly on the saddle." The handlebar, he says, may also be too low and may need to be raised using spacers under the stem. Note that a sudden increase in distance can also cause strain. Allowing the body to progress naturally and adjust to the new load over time can help a rider. Many cyclists suffer from numbness or tingling in their toes during cycling, especially if they are logging a lot of miles. Others describe having "hot spots" on the bottom of their feet when they ride for an extended period of time. Often, the culprit is caused by the footwear, especially if the cycling shoe is a little too small. "If the shoe doesn't allow for foot swelling as you ride," says Barrientos. "The shoe will press on nerves in the foot. The longer you ride, the more your foot will swell." This will inevitably lead to some swelling and discomfort. The shoe may be too small to allow for swelling, but if not, you can also check to see if the front strap is too tight. Looking for a shoe that has good toe box room for your foot is key for comfort. ● Seat height: If a rider is experiencing frontal pain, the seat height may be too low or the saddle is too far forward. ● If the rider is experiencing inside (medial) pain: Check for optimal knee angle and knee tracking of rider. ● If the rider is experiencing back of the knee pain: The saddle is too high and causing hyperextension. A high saddle can also cause calf tightness as you reach the bottom of the pedal stroke. The seat may also be too far back and may need to be moved forward. If hand tingling is an issue, you may be simply putting too much weight or pressure on the bars. Try raising the height of the handlebars to offset pressure, or you may also try moving your hand position on the bars. Alternatively, try a gel style bar tape and gloves with gel pads in pressure areas. Finding the perfect saddle is the holy grail of cycling. Contrary to what you might think, more padding does not always equal more comfort. A well-fit saddle is one that is the proper width for your sit bones, as well as the proper length for your body geometry. A saddle that is too wide can cause chafing and uncomfortable rubbing (hello, saddle sore! ), whereas a saddle that is too narrow can put unnecessary pressure on your sensitive parts. Again, an expert bike fitter will have the proper tools to measure your sit bone width and help narrow down saddle choices. Many bike stores also allow you to demo different saddles for some real-road experience. 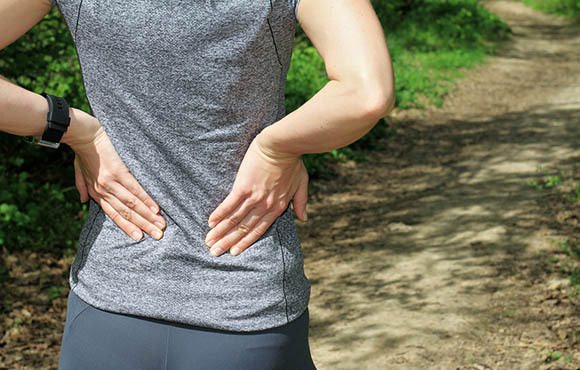 Don't see your issue on this list, but still experiencing general aches and pains? It could be as simple as proper load over time. 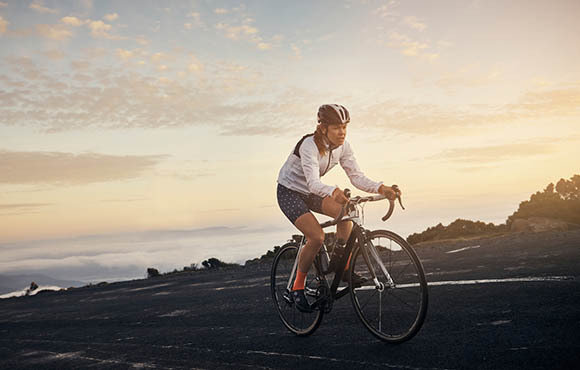 "Many of us get out on our ride and push harder than our body is ready for, especially if you're new and haven't had a proper fit," says Barrientos. Bottom line? 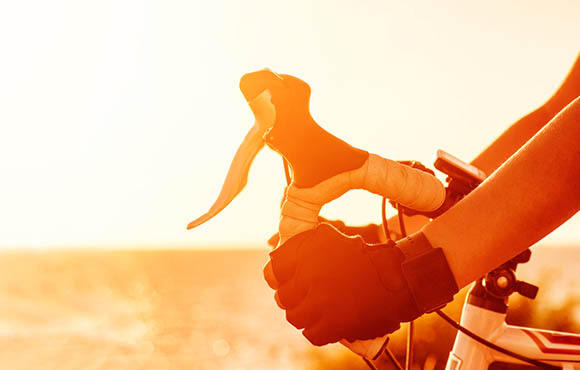 Don't push your limits, particularly if you're new to the sport or the bike you're riding. Cycling, even though it's non-weight bearing, can cause injuries if you overload your body before it's ready. 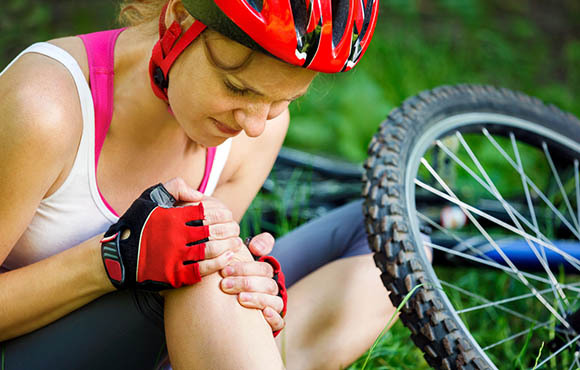 The repetitive nature of cycling can exacerbate bad form, leading to an overuse injury. Building power and mileage is a process that should progress over time and with proper training. Nothing feels better than riding pain free. A proper bike fit takes time and the idea is to first work on comfort and efficiency. The power gains will come with time spent in the saddle and a good training plan.